McKay Coppins has done the impossible and spun a readable piece out of last week’s fabricated “mommy wars.” (I prefered Rosengate; apparently, everybody else went with Mommy Wars. The wisdom of crowds is to be respected.) If you ignore the dudgeon, you are left with the fact that Ann Romney married a businessman who got successful in a hurry, and she decided to stay home and raise kids without ever having to worry about bills. The Romney family is wealthy: Breaking news. But Coppins adds the context about how the Mormon church prioritizes stay-at-home moms. Romney’s religion is going to mused-about and impugned at other points during the campaign. It wasn’t discussed at all during the Mommy War’s Battle of Rosen Field. 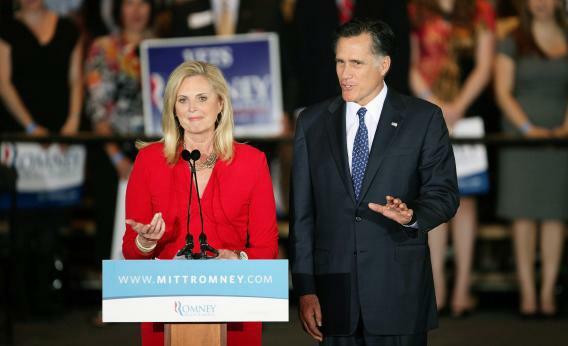 Is there some upside to reminding voters about which church the Romneys belong to? Probably not. You can win some skeptics over, but it takes an argument. Better to genericize the issue, and turn Ann into Every Mom Ever.